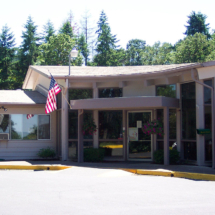 HILLSIDE HEIGHTS REHABILITATION CENTER has been proud to serve Eugene, Springfield and the surrounding communities since 1957. 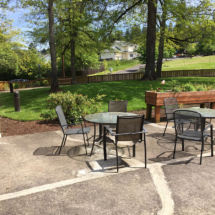 Nestled in the south hills of Eugene, Hillside Heights is a small facility with a family-oriented approach. 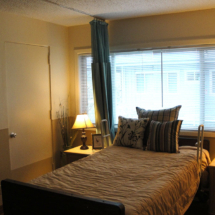 At Hillside Heights, recovery is our specialty. Our team understands that illness and injuries can be frightening and we take pride in meeting the needs of each resident with warmth, understanding and compassion to assist with your recovery. You’ll enjoy activities that ease you back into a regular routine and an attentive staff who will encourage and support you. Additionally, Hillside Heights offers a full continuum of care to meet an individual’s changing medical and healthcare needs. 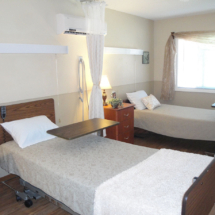 Services include skilled rehabilitation, plus nursing care and behavioral health management on a short or long-term basis. Our room selection includes private and semi-private bedrooms. The facility is located south of 28th Street on McLean Blvd, near Waldorf School, just minutes away from local hospitals. 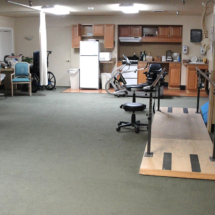 The facility accepts Medicaid, Medicare, and most insurance and managed health plans. On-site physician, nurse practitioner and Mental Health Nurse Practitioner services are available, as well as complimentary transportation from the hospital to the facility. Hillside Heights offers more than just 24-hour nursing care, we cater to both the physical and emotional health of our residents and patients. Our care teams work together to create personalized treatment plans to help patients through their care journey. We strive to provide industry-leading outcomes through coordination of all aspects of your care.